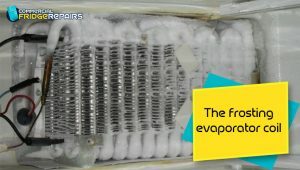 When evaporator coil frost over, it becomes difficult for air to pass through it easily. So, how to fix it? Firstly, the coil is defrosted by applying the hot water to air and let the fridge run normally. 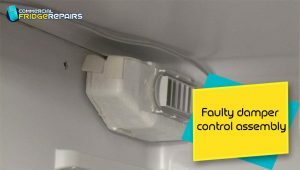 In case, the coil is frost over again, you can check the defrost heater assembly to make sure it is working fine. 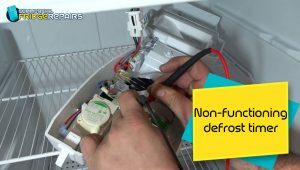 If you find that defrost thermostat is causing any problem, hiring professionals for commercial fridge repairs could be the best possible solution. It is one of the potential problems that cause an improper defrost timer. With an advanced defrost timer, it provides power to the heating element. With the rise of temperature, it cuts the power to the heating element and supplies power to the cooling element. In case, the timer gets stuck somewhere, it will be any of the two modes of working. Normally, the defrost timers are found in the temperature control section inside the refrigerator. If the evaporator fan fails, it becomes impossible for a refrigerator to circulate the cold air around. 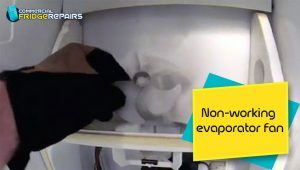 You may call Fridge repair experts from Sydney to replace the evaporator fan. The evaporator fan is usually behind the back of the wall. This is what pushes the cold air into your refrigerator section to keep it cool. 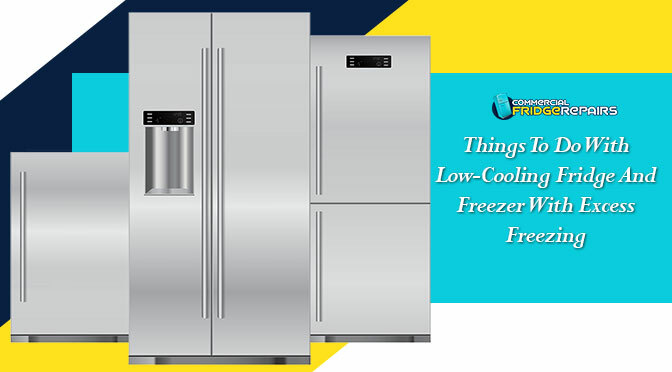 If the loaded items interfere with freezer airflow, it can warm the fridge compartment. The Damper is responsible for controlling the cold air flowing from the freezer to fridge. In case, you find it stuck or broken; the refrigerator will not get cold. 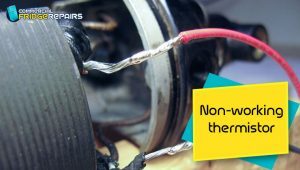 Whereas non-working thermistor fails to monitor the temperature, your fridge may continue or stop cooling. An overfilled freezer that h.inders the flow of the air. Faulty evaporator motor for a fridge. Dispenser control board is not working. According to professionals for fridge repairs fom Parramatta, the temperature of the refrigerator is set too low or warm cause a problem too. In case, the coil in your fridge is dirty and dusty, the compressor needs to work hard to keep the freezing temperature intact. Even, make sure the gasket on your fridge door should be sealed properly to ensure adequate refrigerator temperature. To avoid such problems in the future, a simple and inexpensive thermometer can help. It not only indicates the exact temperature, whenever it rises or lowers, but also you can change the temperature setting with a few adjustments.